Settle in this Saturday. 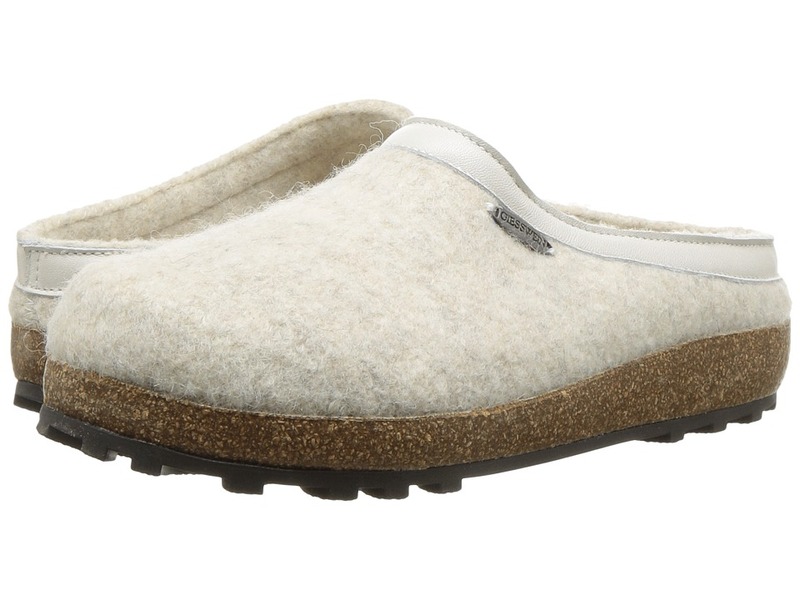 The Giesswein&amp#174 Acadia clog slippers are the laid back luxury your weekend wants. 100 percent boiled wool construction offers a breathable wear that is also naturally water-resistant. Cushioned footbed with arch support. Slip-resistant and waterproof rubber outsole with a rocker heel for a natural walking experience. Imported. Measurements: Weight: 13 oz Product measurements were taken using size 44 (US Men~s 11), width Medium. Please note that measurements may vary by size. Weight of footwear is based on a single item, not a pair. 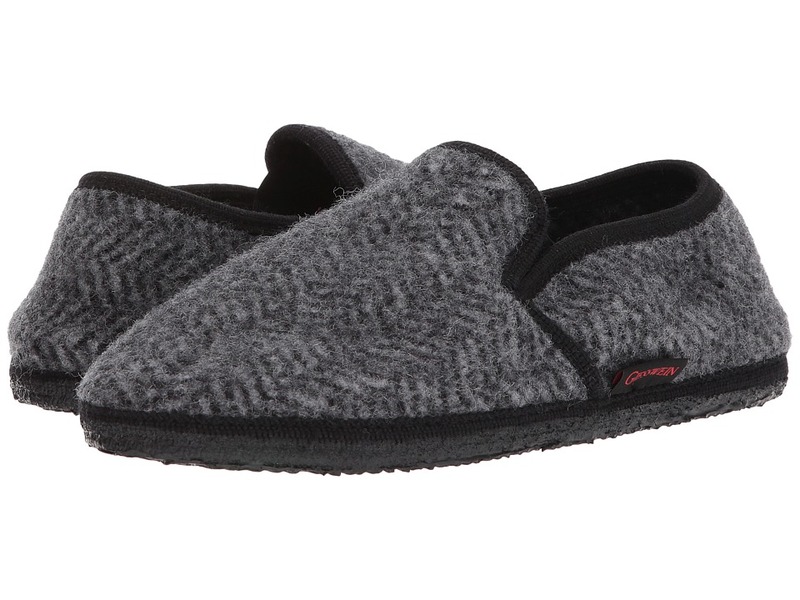 The Giesswein Molly is your new cozy little stay-at-home essential. 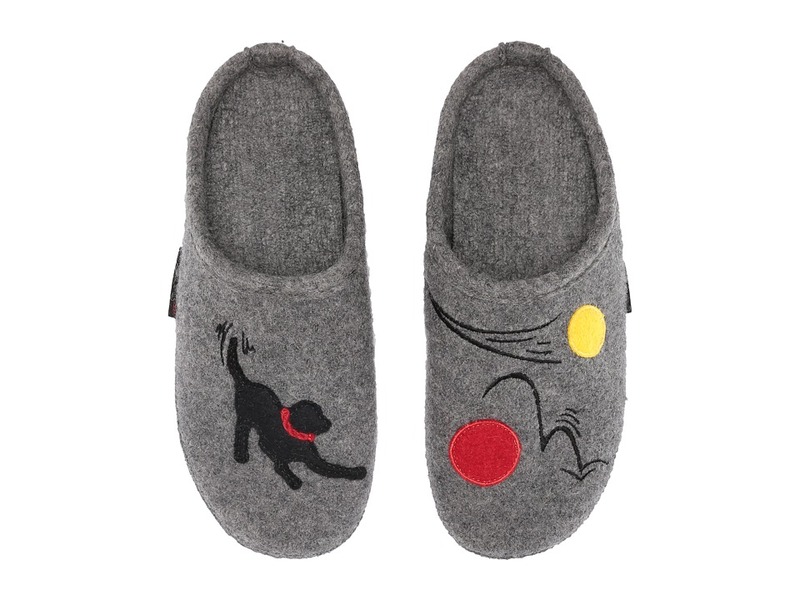 Wool upper with a dog and ball pattern. Easy slip-on style. Soft wool lining. Removable insole. Synthetic outsole. Imported. Machine wash cold, air dry. Measurements: Weight: 7 oz Product measurements were taken using size 39 (US Women~s 8), width M. Please note that measurements may vary by size. Weight of footwear is based on a single item, not a pair. 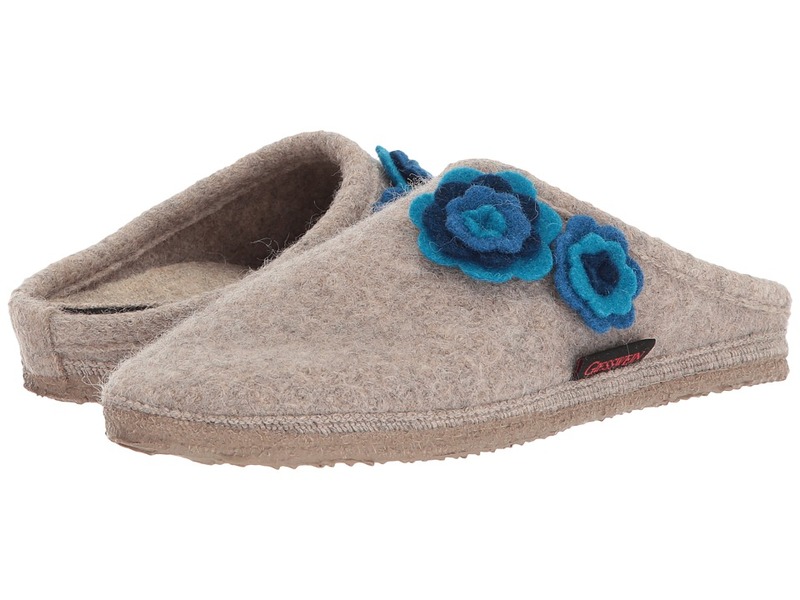 The Giesswein&amp#174 Radler slippers feel so good, you~ll never want to take them off. 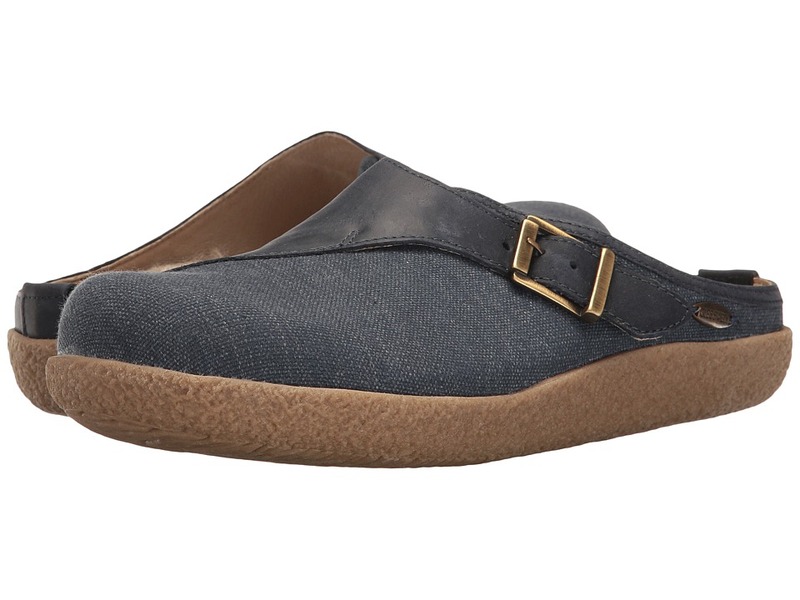 Canvas upper with leather buckle strap. Cushioned footbed with arch support can be removed to accommodate your custom orthotics. Slip-resistant and waterproof rubber outsole with a rocker heel for a natural walking experience. Imported. Measurements: Weight: 12 oz Product measurements were taken using size 39 (US Women~s 8), width Medium. Please note that measurements may vary by size. Weight of footwear is based on a single item, not a pair. Go the extra mile and you~ll be rewarded for it in the Reith slip-on by Giesswein. Durable canvas upper. 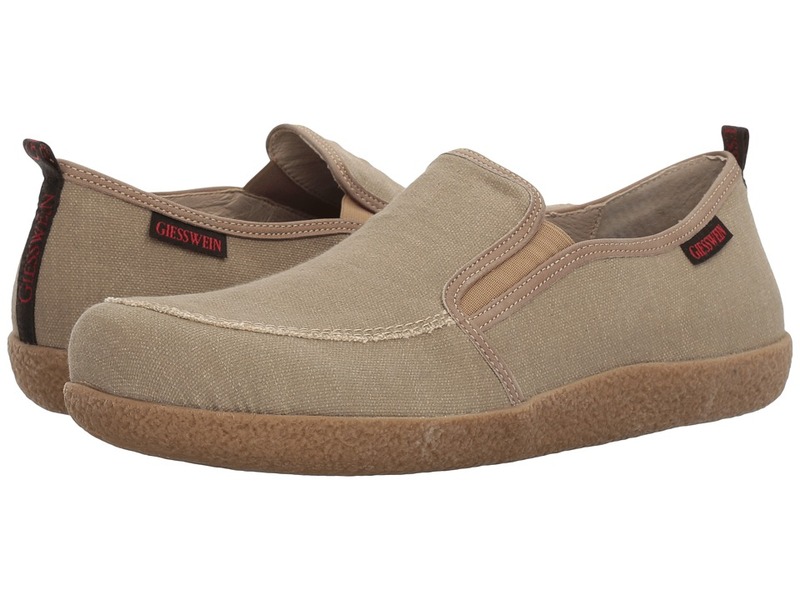 Easy slip-on style with goring for a comfortable fit. Textile lining. 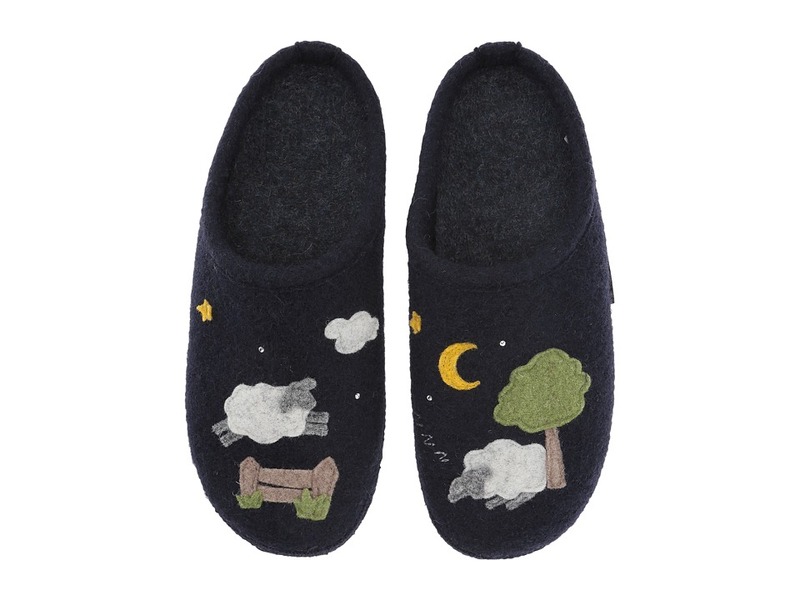 Wool is never itchy or scratchy so it feels soft against your bare feet. Anatomically correct footbed can be be removed to accommodate custom orthotics. Slip-resistant and waterproof rubber outsole with a rocker heel to give a more natural walking gait. Imported. Measurements: Weight: 14 oz Product measurements were taken using size 45 (US Men~s 12), width Medium. Please note that measurements may vary by size. Weight of footwear is based on a single item, not a pair. Winter, spring, summer, or fall &amp#8211 Tahoe does it all! Moisture-wicking, breathable, 100 percent natural boiled wool upper naturally regulates body temperature and is never itchy, scratchy, or sweaty. Natural boiled wool is odor and water-resistant. Elastic gore vamp provides a customized fit. Removable cork-latex footbed with suede lining molds to your unique foot shape. Metatarsal and medial arch support. Waterproof, treaded rubber outsole for outdoor/indoor use. Accommodates third-party orthotics. Toe cap and heel cup reinforced with recycled fiber for added durability. Imported. Measurements: Weight: 15 oz Product measurements were taken using size 45 (US Men~s 12), width Medium. Please note that measurements may vary by size. Weight of footwear is based on a single item, not a pair. The Clara is a delightful way to start and end the day! 100 percent boiled wool upper is naturally water-resistant and temperature-regulating for year-round wear. Colorful stitching details at the vamp for added appeal. Dual elastic panels at the entry provides an easy on and off for convenient comfort. Soft suede lining for all-day comfort. Anatomically correct, cork-latex footbed with arch support that contours to your foot~s shape. Slip-resistant and waterproof rubber outsole with a rocker heel to give a more natural walking gait. Imported. Measurements: Weight: 14 oz Product measurements were taken using size 40 (US Women~s 9), width M. Please note that measurements may vary by size. Weight of footwear is based on a single item, not a pair. 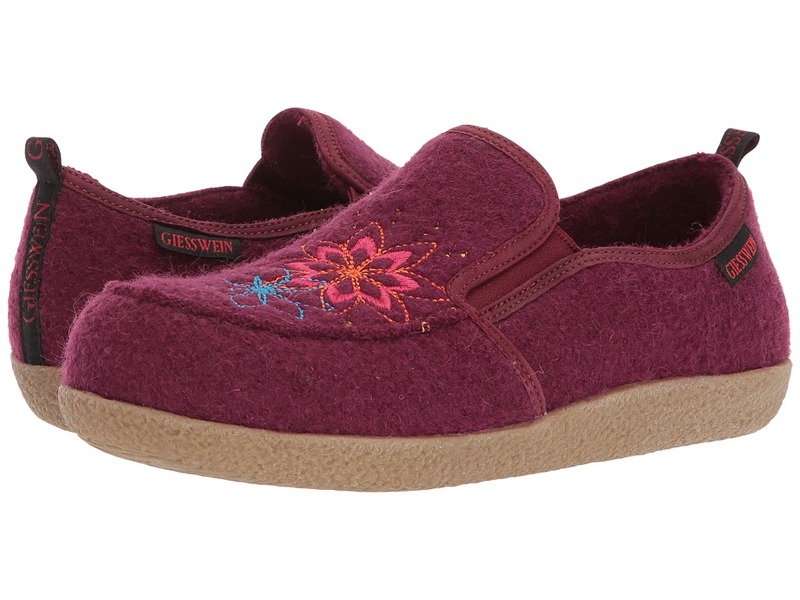 Always look fabulous while lounging in the Georgie slipper from Giesswein. 100 percent boiled-wool construction wicks away moisture while helping to regulate temperature. Features two vibrant blue handstitched flower appliqu&amp#233s. Wool is never itchy or scratchy so it feels soft against your bare feet. Anatomically correct footbed can be removed to accommodate custom orthotics. Slip and water-resistant latex-dipped outsole will not mark or scuff your floors. Machine wash, air dry. Imported. Measurements: Weight: 7 oz Product measurements were taken using size 39 (US Women~s 8), width M. Please note that measurements may vary by size. Weight of footwear is based on a single item, not a pair. Long days can surely be cured by the beloved Harris slipper from Giesswein. 100 percent natural boiled wool upper naturally regulates body temperature and is moisture-wicking and breathable. Easy slip-on style. Elastic gore vamp provides a customized fit. Warm wool lining feels great against the foot never being itchy, scratchy, or sweaty. Removable orthotic-quality footbed with arch support. Natural latex-dipped outsole with vegetable dyes is non-marking, flexible, and water-resistant. Imported. Measurements: Weight: 9 oz Product measurements were taken using size 45 (US Men~s 12), width Medium. Please note that measurements may vary by size. Weight of footwear is based on a single item, not a pair. Whether you~re counting sheep or ready for sleep, let the Giesswein Shauna be part of your nightly relaxation ritual! Moisture-wicking, breathable, and 100 percent natural boiled wool upper naturally regulates body temperature. Handstitched appliqu&amp#233 detailing. 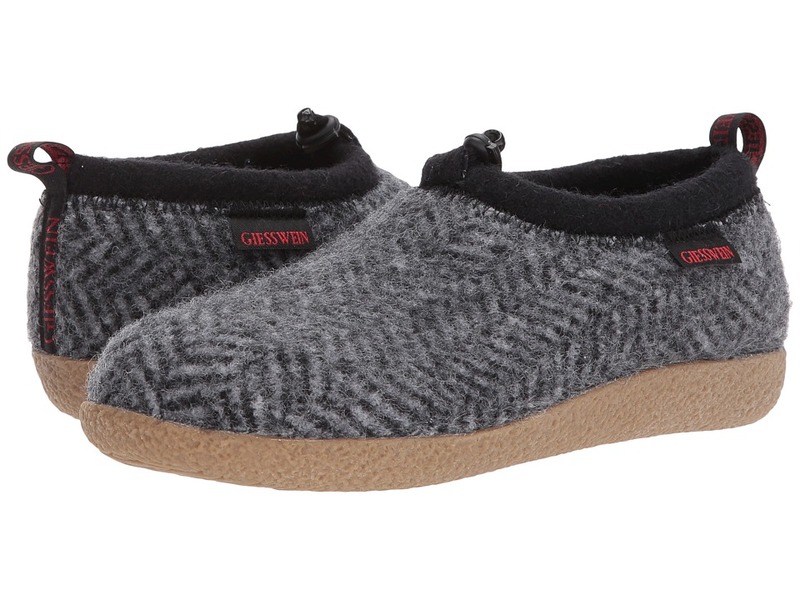 Removable footbed constructed from natural rubber, natural jute, and recycled carbon. High-level arch support. Accommodates third-party orthotics. Seam-free interior hugs the foot with no irritation or chafing. Natural latex-dipped outsole with vegetable dyes is non-marking, flexible, and water-resistant. Patented outsole uses no synthetic chemicals or glues. Real fur: This product contains real sheep fur, dyed, from Portugal. Made in Austria. Measurements: Weight: 7 oz Product measurements were taken using size 40 (US Women~s 9), width M. Please note that measurements may vary by size. Weight of footwear is based on a single item, not a pair.